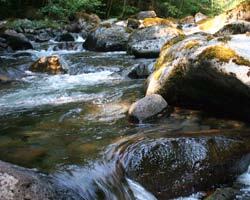 The Eugene Water & Electric Board, Oregon's largest customer-owned utility, launched a REACH HAB Data Portal (Harmful Algal Bloom) as part of their drinking water source protection program to protect the McKenzie River's high water quality. North Jackson Company's mission is to provide reliable technical information through rigorous science for use by our clients and stakeholders in the process of making sound environmental management decisions. We follow an interdisciplinary approach to evaluate and assess the biological and physical interdependence of ecosystems. Our collaborative work environment promotes high productivity and rigorous scientific research. North Jackson Company was founded in 1998.